IF YOU LIVE ANYWHERE ON PLANET EARTH, contact me directly for anything these vendors sell. I am proud to announce the launch of my branded competition belt, made to the spec of the top-selling brands. Please note: If you need to order a different size or color, it will be $75 with DAA branding. Thank you for understanding! Why does the belt need to be so big? 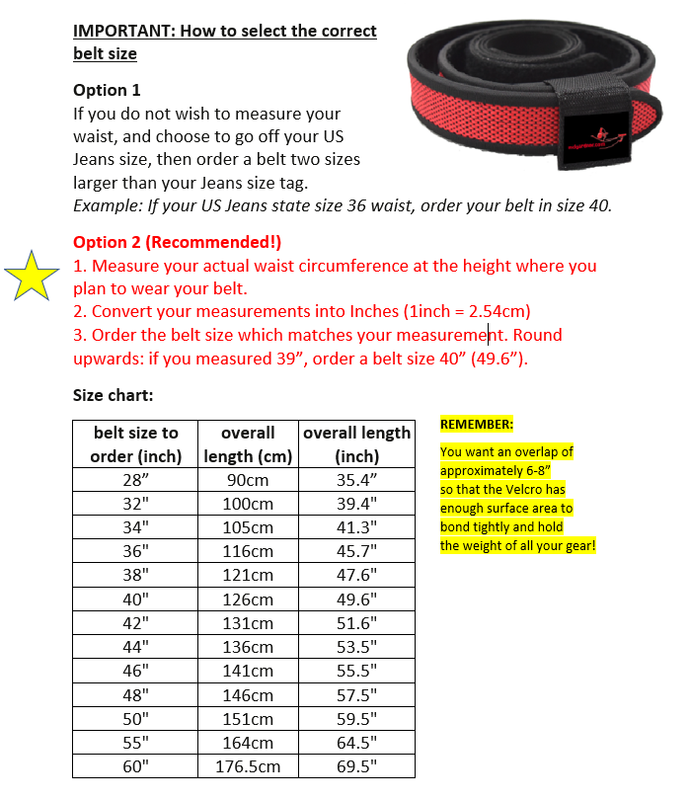 Remember that your underbelt and gear also increase your waist dimension! As well, when the weather is foul, you may want to tuck extra layers of clothing underneath the belt. If in doubt, always choose the larger size. You can make a larger belt smaller but you can’t make a smaller one larger. 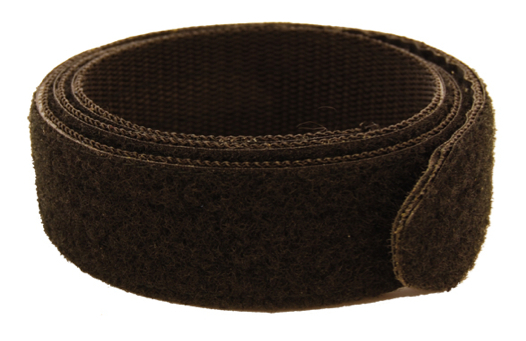 Using the method above should leave you an overlap of approximately 6-8”, and you want that so that the velcro has enough surface area to bond tightly and hold the weight of all your gear. Call me with questions at 604.889.3822 between 8AM and 7PM Pacific Time. 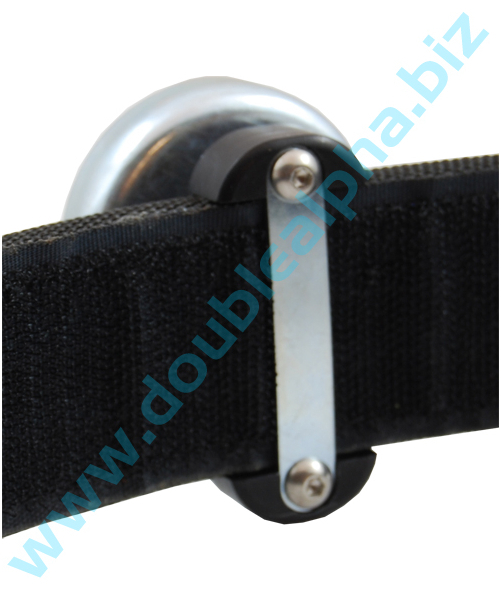 The PRO belt adds features to the time proven DAA belt. New dual-tone webbing on the outer and logo text on the inner with a name insert raises the bar on quality and features of any other belt maker. 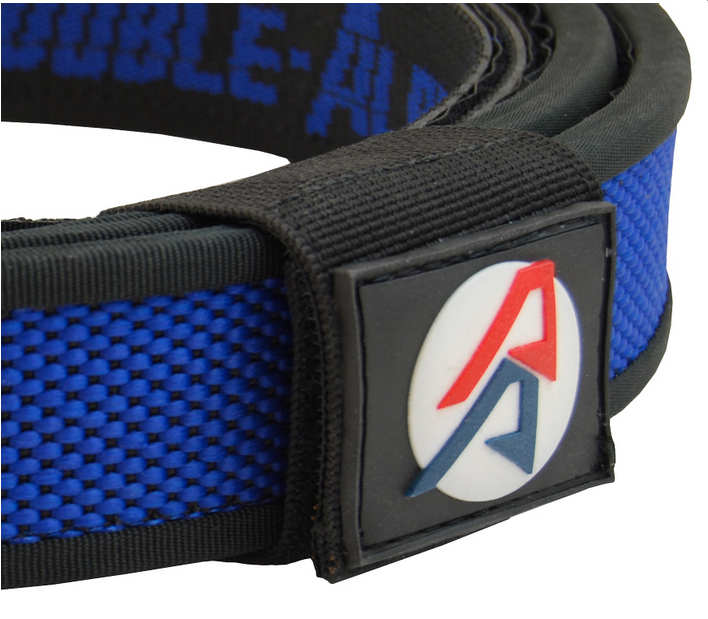 An attractive and functional safety loop is included with every belt, carrying an embroidered “AA” logo. 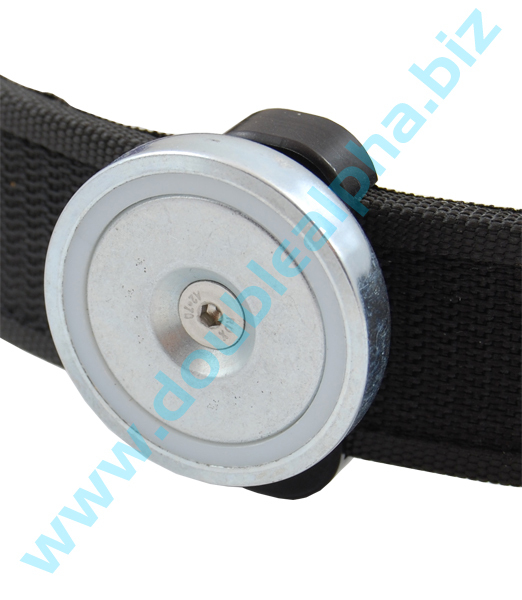 AA inner belt for the spare you need or to replace one you have lost. Standard sizes are available. We are proud to present our DAA Race Master Magazine Pouch! We are proud to present our DAA Race Master Magazine Pouch constructed from aluminum rather than plastic. It offers a wider and more diverse range of adjustability and mounting options – and more important, locks rock-solid in the chosen position, not losing its settings until the user chooses to change them. This pouch’s pressure adjustment wheel applies its load to the back of the magazine, squeezing the mag tube from back to front rather than from left to right, as most others do. This type of contact creates a far smoother draw of the magazine. A few turns of the wheel changes the tension from very loose to very tight, as may be required on a particular course of fire. Please note! The DAA Race Master Aluminium pouches are supplied with 2 sets of spacers designed to fit the 2011 STI magazines. 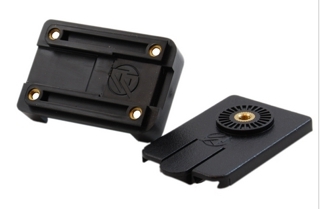 It will work perfectly also for SV, Para, SPS, BUL M5 and any other wide body 2011 type mag we have tried. The Second set of inserts are designed for the CZ SP01 mags. They are a perfect fit also for the small Tanfoglio mags. For other model magazines, some fitting may be required. This we have seen with Glock and S&W M&P mags, and is sure to be the case with others. 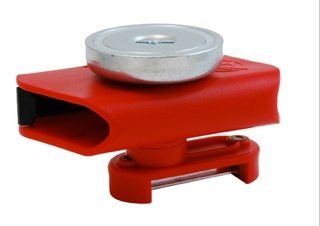 This fitting can be done in minutes with a piece of flat sandpaper, or in seconds with a belt sander. If you want to use Race Master pouches for Classic Division, you'll need adapters for those mag pouches for the single stack mags. These adapters are $10 each. You must specify that you need adapters when ordering, thanks! You can order your Alpha-X pouches without a color inlay, and order the inlays separately (see below). Please note – we do not recommend using the pouches without inlays installed! The dovetail cuts inside the inlay pockets on the pouch body make for sharp corners which are only covered up when the inlay is used. We want the best of both worlds, the Alpha-X utilizes a new innovative internal spacer system that totally envelopes the magazine when seated in the pouch. The magazine does not make any direct contact with the aluminum sides at all. These pouches are suitable for all double-stack magazines (except for 0.45 glock and HK mags). However they are NOT suitable for use with Single Stack magazines. A complete set of Alpha-X Pouch Inlays includes left, right and side inlays in the color of your choice (black, red, blue, gold, yellow, silver, copper or orange). Depending on where you mount the ball joint attachment, one inlay part will not be used. Please note that these inlays have a protective transparent film on their front and 3m adhesive tape cover on their back. Both should be peeled off before installation. Carefully break the pieces out of their frame. There are several small bridges holding them in place which can be broken by hand. If you wish, you can use a knife to clean off the tails left by the bridges, but this should not be strictly necessary. Peel off the transparent film from the front, as well as the 3M adhesive cover from the back. Position the inlays over their correct pockets in the pouch body and fit them in place. Should you wish you remove the inlays after installation, you can do so thanks to the small holes drilled through the pouch body. In order to access these holes, you will need to remove all plastic spacers first. Then, using a sharp tool (like a small hex key) you can push on the inside of the inlay until it comes loose in the corner. Then, gently work it out of its pocket. Note that the inlay may break when removed. The DAA Racer pouch borrows heavily from the Race Master Pouch. It uses the very same body design, modified to suit plastic moulding requirements, while maintaining the exact same unique “pressure from the back” adjustable holding system. Interchangeable inserts allow you to go from larger 2011 mags to smaller CZ/Tan mags. The pouch is completely ambidextrous, allowing easy mounting for left hand or right had users. You can even mount the pouch at 90degrees away from your body, just as you can in the Race Master version. There is no ball joint as in the aluminum RM pouch. 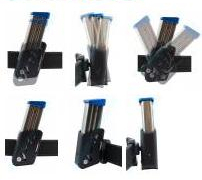 However, the pouch can be adjusted for tilt in very small steps, allowing each shooter to find the right angle for their preference and the centre screw tightened, the serrations in the connector piece lock up, preventing any possibility of the pouch rotating until the centre screw is loosened several turns. These pouches are robust and durable, and the performance you can expect is very bit as good as that of its big brother. And with a price tag of a little over half the Race Master pouches, the Racer Pouch will be the perfect choice for many. Available in Black, Blue, Red (special order, Grey/Silver). 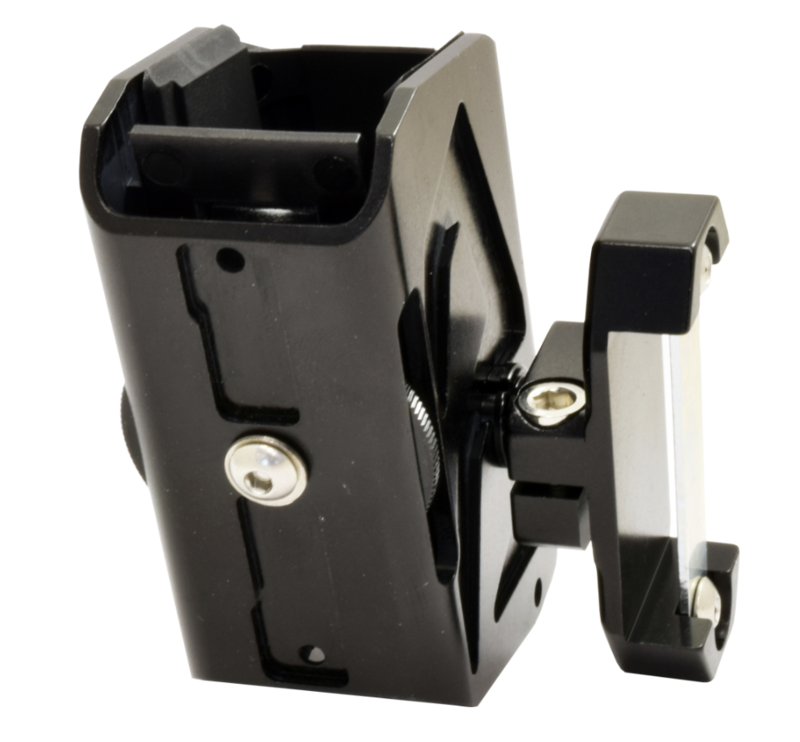 If you are getting into Classic Division, you'll need adapters for the Racer mag pouches for the single stack mags. These adapters are $10 each. You must specify that you need adapters when ordering, thanks! NOTE THAT YOU NOW HAVE A NEW OPTION! SEE THE RACER SINGLE STACK MAG POUCH BELOW. For those dedicating a rig specifically to Classic or not wanting spacers on their RaceMaster/Racer pouches, these are the ticket. All the features of the double stack pouch but designed for single only. A bit smaller and lighter which won't hurt when lugging all that gear around your waist. This is a tooled new pouch body, custom made specifically for 1911 Single Stack magazines, a pouch absolutely as slim as possible. We even did away with the inner side spacer, and ”hid” the head of the center screw in the side wall. The entire pouch body measures only 20 mm wide! The opening of the pouch is beveled on three sides to facilitate easier insertion of the magazine into the pouch. The slick inner surface ensures smooth consistent release. These single stack pouches will work only with 1911 style Single stack magazines which follow the standard external dimensions! (roughly 13.7mm 0.54” wide, and 34.8mm 1.37” from back to front). Oh yeah, gotta have at LEAST one of these for those "leave the mag on the table and pick up and load..." stages. With a bunch of those at the nationals, these proved to be a second saver. I use one in the #2 spot and it holds two. A solution for "Where do I put my stripper mag?" that has plagued us for years. And they DO hold very tightly. For those who asked, here is the Racer double stack pouch with a magnet already attached. The Racer pouch has a sturdy base and a centre rotation screw which locks firmly and does not come loose or lose its setting. 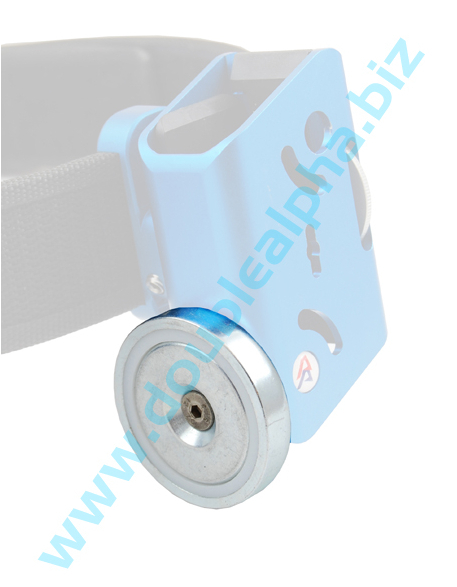 This is what makes it possible to attach the magnet directly to the pouch body with confidence. To ensure the screw is firmly in place, we insert an M5 thermal brass nut into the plastic front panel of the pouch, seating it deeply into the plastic to provide a firm 6mm long thread for the magnet’s screw to attach to. A little manual cleaning on the inside of the pouch ensures that the smooth clean drawing of the magazine from the pouch is not affected in any way. 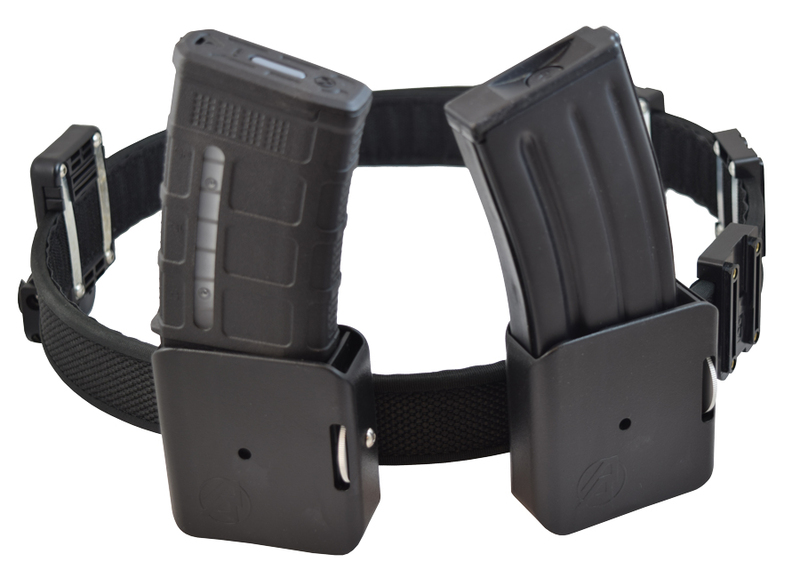 This style has proven very successful for single stack magazines and take up less real estate on your belt than the conventional mounted pouches. Two 20mm round magnets hold the magazine firmly inside the pouch track for secure retention yet allowing a smooth and effective release. 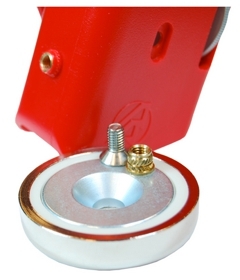 The mount is typical of the Racer/RaceMaster pouches allowing lots of adjustment for angle. It positions the magazine only in the 90 degree angle from the belt but has adjustment for tilt. 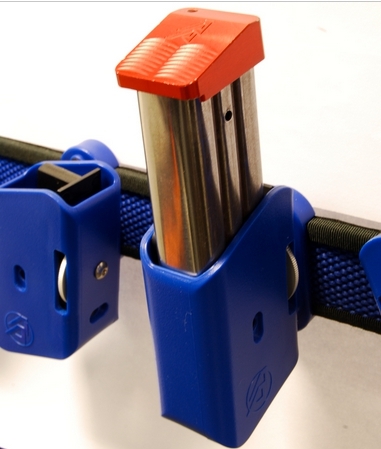 Two small powerful magnets hold the magazine firmly in place while allowing it to rest inside its supporting track. 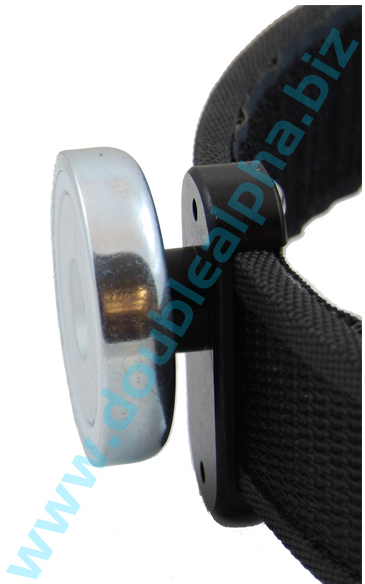 The same high quality belt mount is used as with all DAA Racer mag pouches. 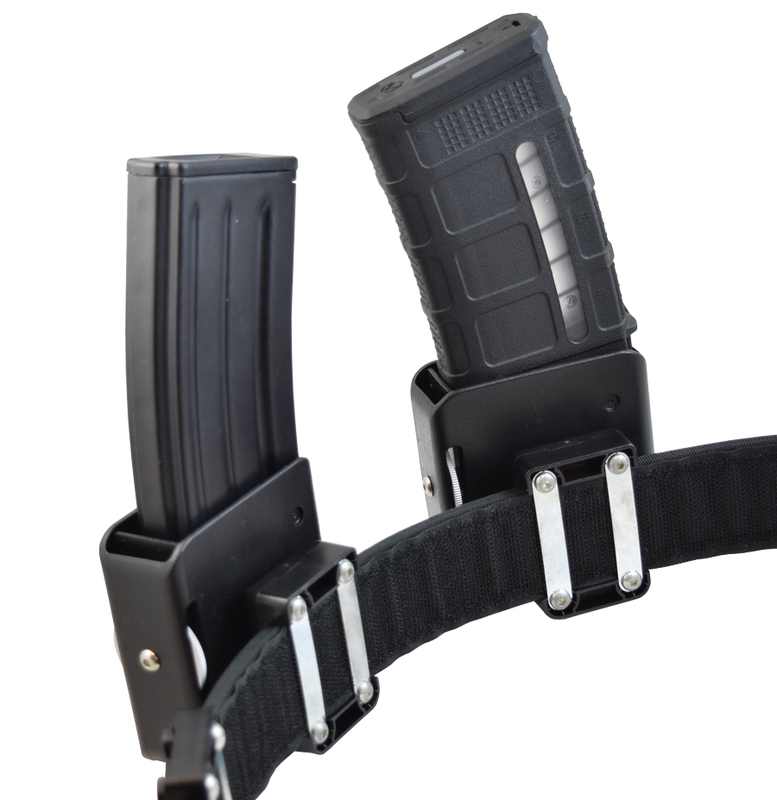 This narrow design allows more single stack mags than conventional front/back alignment. Can be used right or left handed. The lack of external or front pouch walls allow the pouches to be spaced that much closer together. Perfect for Standard or Production where one must wear the pouches behind the hip bone. The pouch can be swivelled around the centre screw (lower magnet's middle) to angle the pouch as designed. The off-centre mounting point on the hanger offers the option of two heights to choose from. The pouch body is machined from solid Delrin and so is tough and durable. Available in Black only. NOTE: Available for Right-Hand users only. Springfield XD magazines do NOT work on magnetic pouches. For this who want to add a magnet to a Racer pouch on the front of either a double or single stack Racer pouch. See http://www.doublealpha.biz/daa-racer-pouch-magnet-kit to add it to a Racer pouch you already own. A little DIY will be required, follow the link. Note: Will NOT fit a large frame Glock (e.g.. G20/21) or HK .45 magazines. For this who want to add a magnet to a Racer pouch on the side of a single stack Racer pouch. Due to popular demand we are now pleased to offer you the DAA Super-Strong magnets, each sold separately, for mounting on the DAA Race Master pouches, or any other type of base you care to use them on. Does NOT include the pouch, only the magnet/adapter. The Alpha Rail System is a pouch mounting option allowing you to quickly click various types of pouches on and off your shooting belt. Ideal for 3 Gunners and shooters who wish to use their rig for multiple applications. 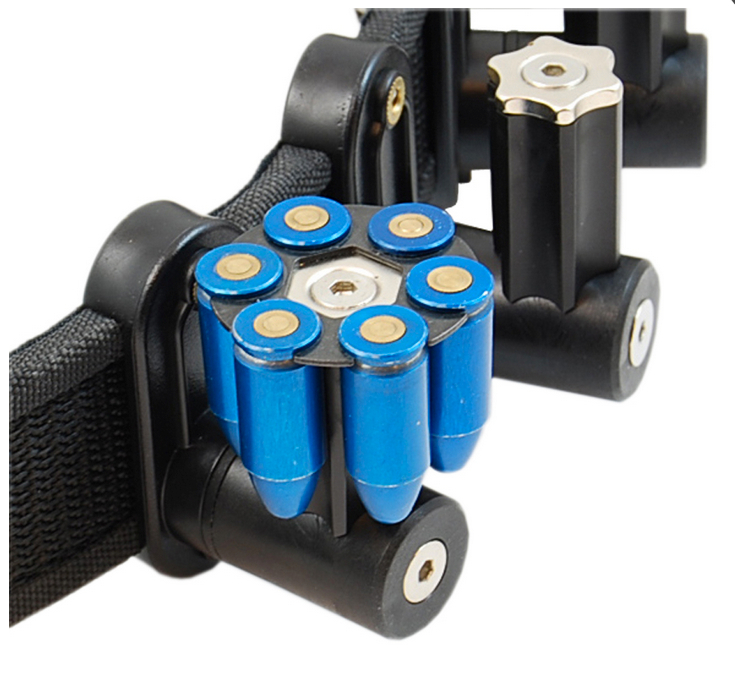 Designed for 1.5” shooting belts allowing maximum contact with the velcro on inner/outer belt sets. Now you can easily replace a pistol mag pouch with an AR pouch or shotshell holder in seconds. 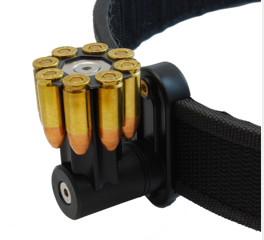 Designed for all DAA mag pouches and shotgun ammo holders. This pouch can be used with the mag bullet forward or backward, as shown. Made to the same high standard as the pistol Racer pouch, it works with both metal and polymer AR15 mags. Comes with the Alpha Rail mount system. This is one of those need revolver items wheel gunners have to have. 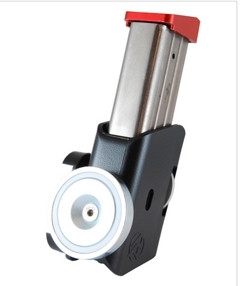 The magnet is custom made, shaped specifically to fit between the rounds on a 6-shot moon clip. This increases surface area. If too tight, a little paper shim will reduce the magnetic pull. The stem can be tilted to the sides to help you find your best angle. Going prone won’t damage the solidly built. You can utilize either of the two heights allowed by the mounting system. Give one of these a try and you will be looking for more of them! 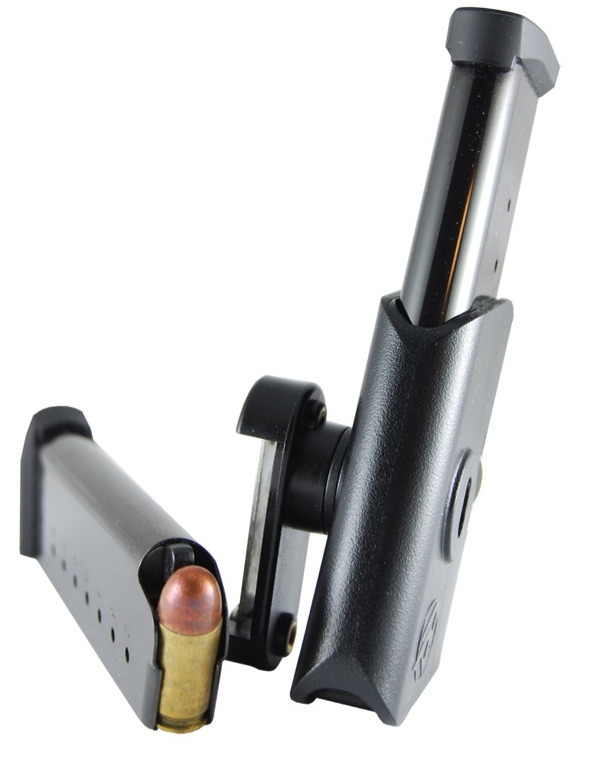 The popular magnetic Moon Clip Holder is now available for the 8 shot 9mm! 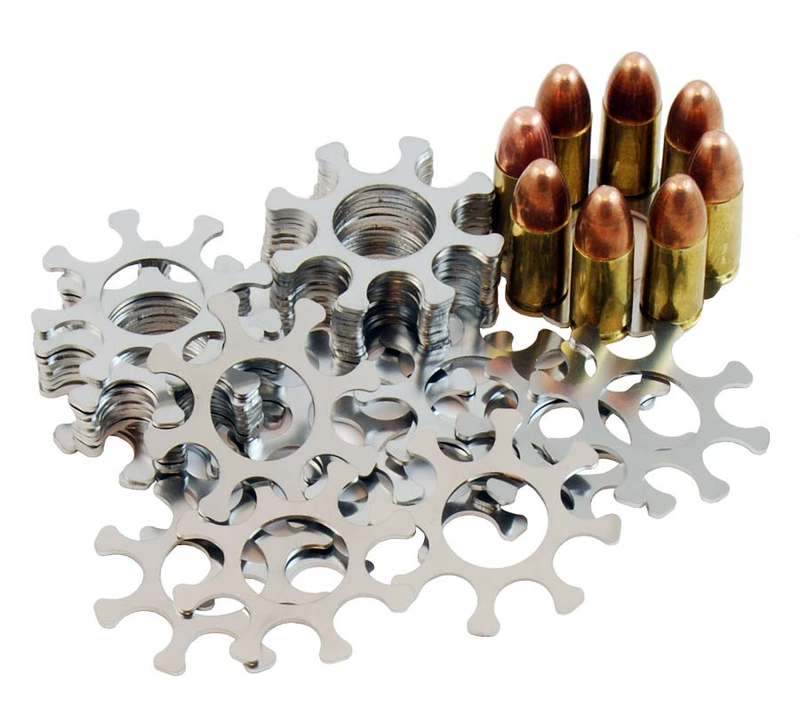 These are suitable for the moon clips as used in the S&W 929, and can handle both 9mm and longer .38/.357 ammo. The concept of holding the moon clip magnetically is not a new one, but we have taken it a couple of meaningful steps forward. Our magnet is custom made, shaped specifically to fit between the rounds on a 8-shot 9mm moon clip, providing increased surface contact area with the steel of moon-clip, for increased grip. The vertical stem is also shaped, countered to match the bullets held in the moon-clip. This serves to index them, forcing them into the same position all the time – improving your consistency as you grab them to reload. The vertical stem can be tilted to the sides, allowing you to position the moon clip at the angle best suiting your needs. 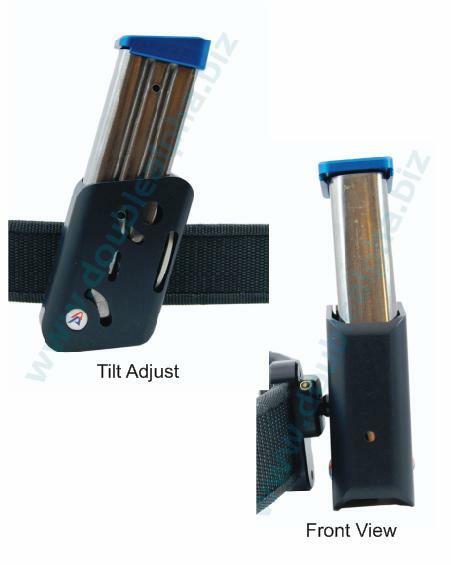 The solid material structure ensures these holders are extremely durable and very unlikely to break, even if you are forced to go prone. 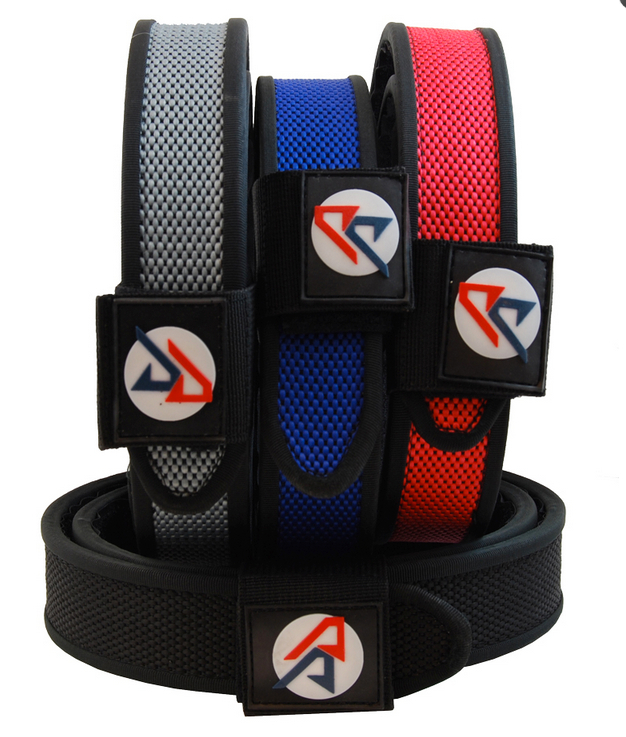 The DAA belt clip hanger, as used on our Racer pouches, provides two height positions, and a secure solid attachment to your 1.5” belt. 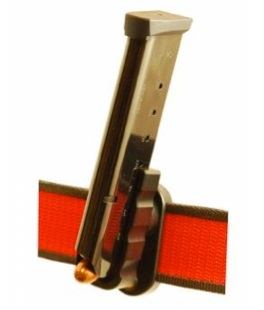 The very slim steel plates on the back of the belt hanger are of extra value for the revolver shooter, as so many moon clip holders are use side by side. This slim designed ensures your inner and outer belt stay well stuck together. 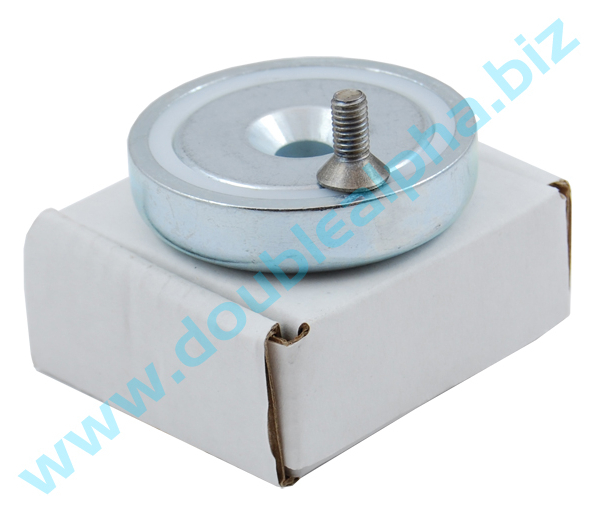 *The moon clip holders are shipped with a 4mm thick magnet. 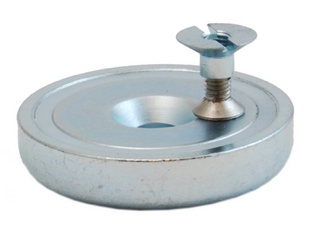 The retention strength this magnet creates will depend on the type of moon clip you are using, and how magnetic it’s steel is. We have found it strong enough for all moon clips we have tried. 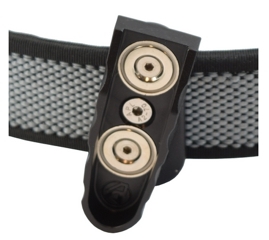 These 9mm Moon Clips are designed for the SW 929 9mm revolver. Laser cut from hardened 413 stainless steel with hardness of 44RC make them very durable and resistant to deforming. The material is magnetic designed so the extractor ensures more overlap when used with DAA 8-shot magnetic moon clip holders. The toolheads arrived today! Thank you. Your customer service is outstanding and I will pass your name to members of the pistol clubs I belong to. Thanks again! Got the package. Very pleased, more so on the service. Keep it up! Will definitely recommend you amongst my fellow shooters here in Toronto. (C) Murray Gardner 2002-2018. All rights reserved.